More than 50 years ago Wonderland Park was began. Located in Amarillo, Texas, this amusement park has been family owned and operated since 1951. 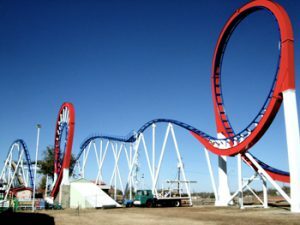 Wonderland Park boasts 25 rides, including 4 exciting roller coasters and 5 water rides to help cool down the Texas heat. For children, the park's Kiddie Land offers 6 rides just for them, including 2 where are adults may only be spectators. There is also 19-hole miniature golf course and video arcade. The park is open weekends and select days in April and May and then daily from Memorial Day until Labor Day. Other Specials & Coupons To view Wonderland Parks Admission Tickets, click here. For other Specials, click here. For other coupons, click here. 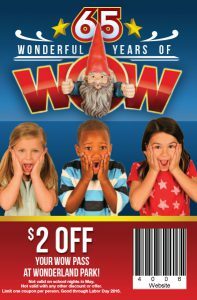 Wonderland Parks updates this pages throughout the year, so check back to see if new specials and coupons have come in. 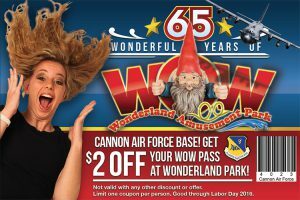 Note to our visitors Wonderland Parks coupons and specials can change without notice. So please visit their official website to make sure of the latest pricing and coupons.